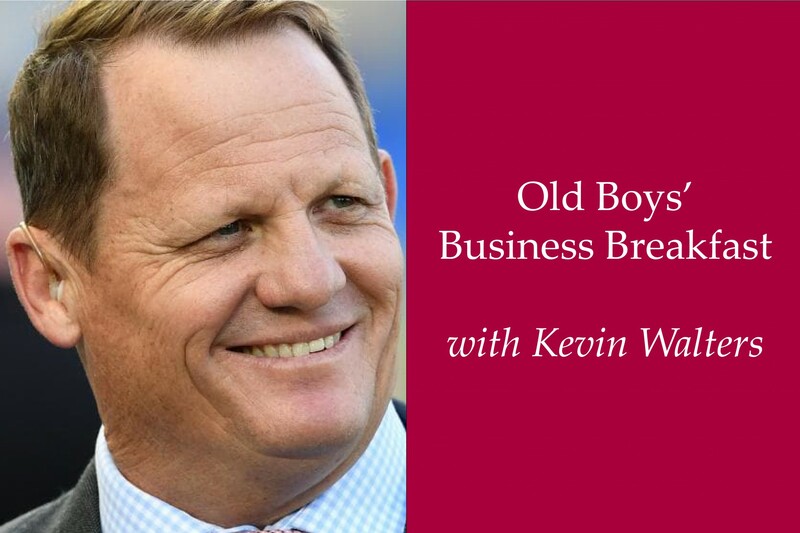 The Old Boys invite you to the Ipswich Grammar School Business Breakfast and enjoy the opportunity to network and listen to guest speaker Kevin Walters (Class of 1984). Walters had a stellar playing career in the National Rugby League at the Brisbane Broncos where he played alongside twin brother Kerrod (Class of 1984). His career included representing Queensland in State of Origin and his country in the Kangaroos side and playing with older brother Steve (Class of 1982) on the 1992 British Lions Tour of Australasia. Walters successfully transitioned from player to coach and has steered the Queensland State of Origin team since 2015. Don’t miss this unique opportunity to hear from one of our recognised sports icons. The morning will include a lavish breakfast and opportunity to network amongst fellow Old Boys as well as business members from both the IGS and local Ipswich community.